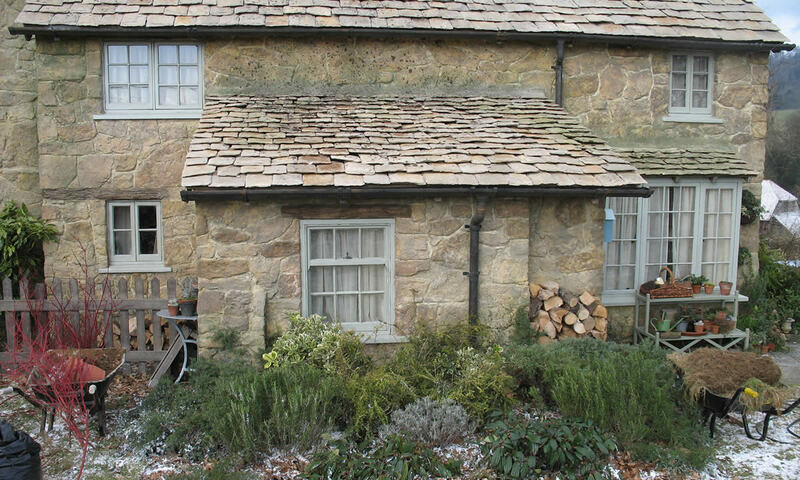 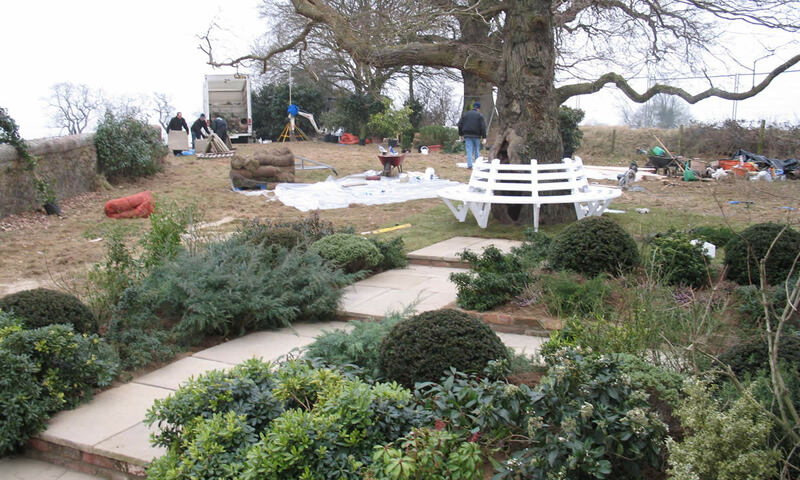 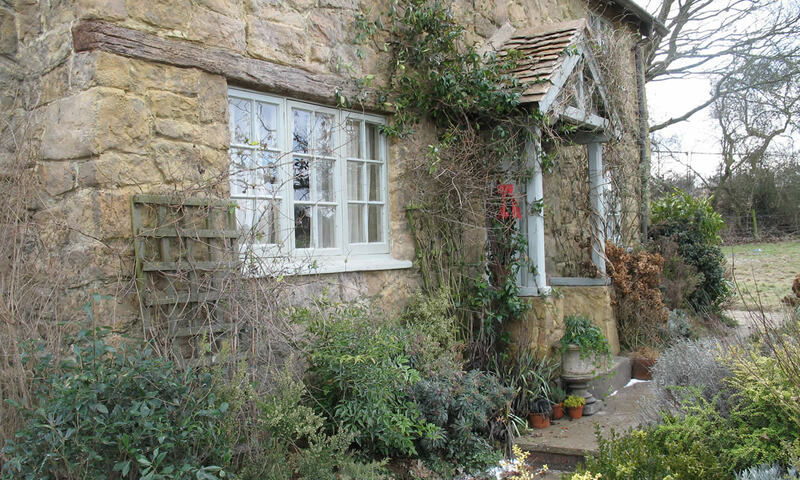 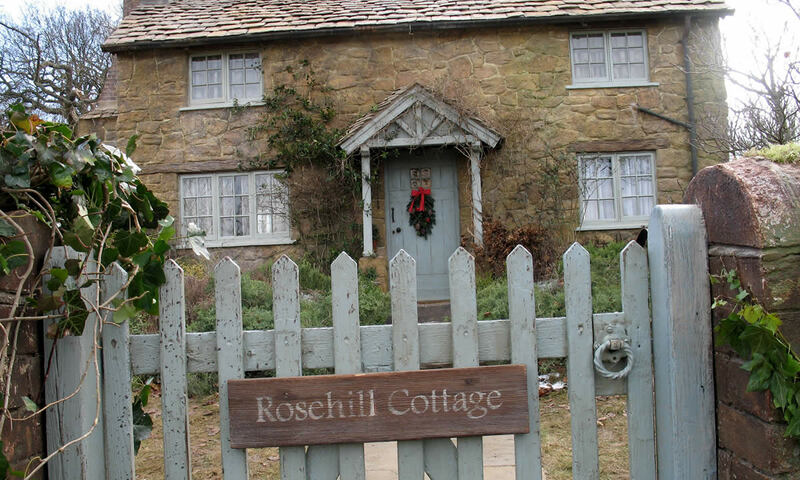 The quintessential English country cottage was the first of several major locations that we dressed for this highly successful rom-com starring Kate Winslett, Jude Law, Cameron Diaz and Jack Black. 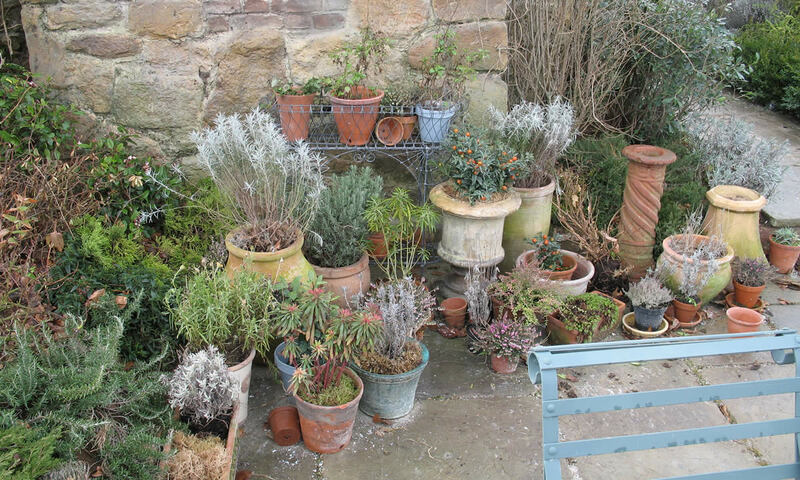 As the storyline was set at Christmas we could not attempt to turn the garden at ‘Rosehill Cottage’ into a glorious riot of colour. 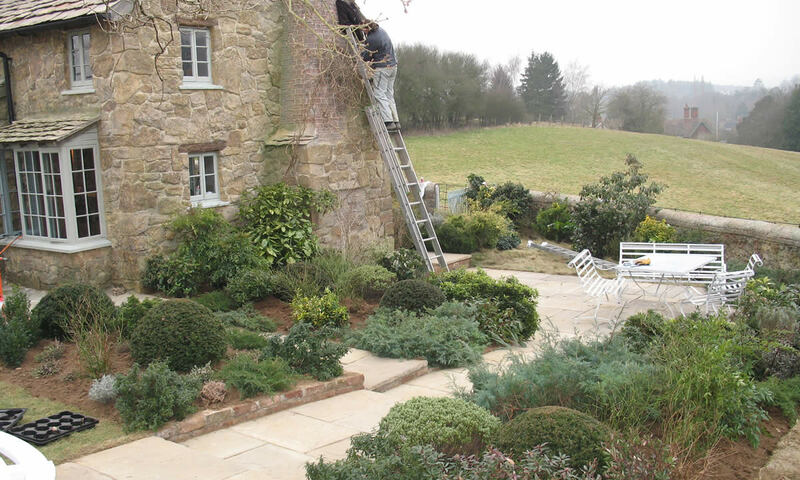 Instead, through the introduction of some green and sculptural planting in flower beds, rambling vines over stone walls and a collection of terracotta planters and chimney pots with aged lavender and heather, the garden’s subtle charm and character was gently suggested. 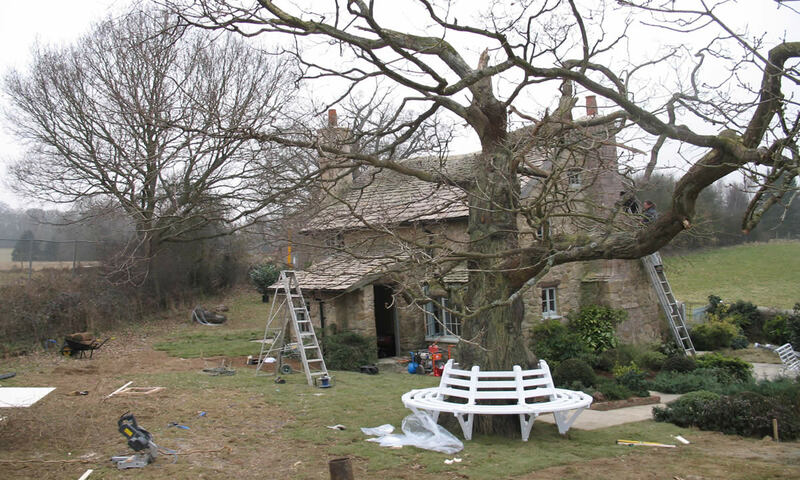 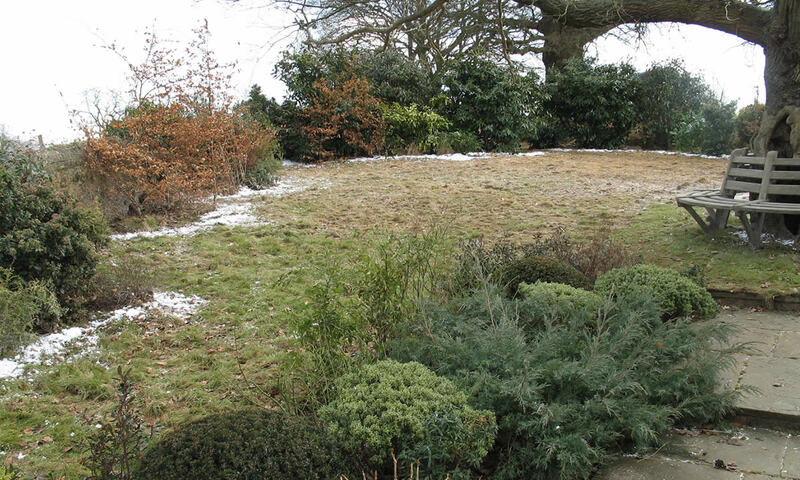 Adding to the overall feel of winter’s slumber was the 20ft bare winter tree that we installed in the garden with a wooden tree-seat.